One of the stellar creation biologists/ecologists, nowadays, is Dr. David Catchpoole, from down under — with years of service as a scientist for the Queensland (Australia) Department of Primary Industries, specializing in tropical fruit tees (especially mango), as well as years of service teaching tropical horticulture at James Cook University. Once an atheist evolutionist, Dr. Catchpoole is now (and has been for decades) a Bible-believing creation scientist, quick to glorify God for His magnificent creatures. In a recent article Dr. Catchpoole described how God has designed and bioengineered owls, because they are nocturnal birds of prey, to fly quietly. Owl wings have already inspired quieter fan blades in computers. More recently, [biomimetics technology] researchers using wind tunnel facilities have explored these noise suppression characteristics in more detail, especially the leading-edge [single-barb-tipped] serrations. The owl wing design also efficiently resolves the trade-off between effective sound suppression [needs for surprising prey] and aerodynamic force production [needed for flying]. In striving to understand how, [biomimetics technology] researchers see an ultimate goal of mimicking those design aspects across many man-made technologies. For example, so the blades of multi-rotor drones can ‘chop’ the air more quietly, without unduly sacrificing lift; similarly in other aircraft, wind turbines, and fluid machinery in general. [Quoting David Catchpoole, “As Silent as a Flying Owl”, CREATION, 40(2):56 (April-June 2018).] 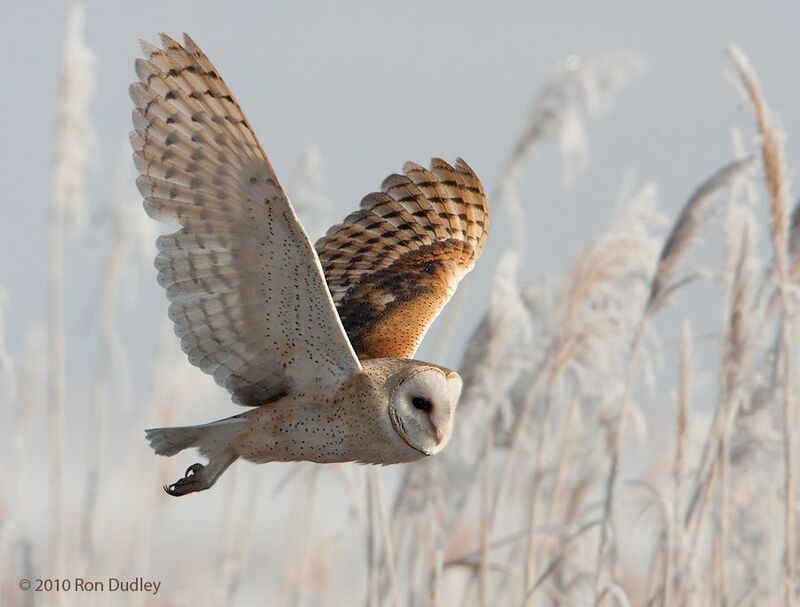 Although the night-flying Barn Owl doesn’t put out much sound, it does take sound in, through its sensitive hearing system. In fact, short feathers (near its ears) are designed into grooves (by each ear) that facilitates efficient reception of airborne sound waves (revealing where its prey is) into the owl’s ears! These owls hear prey well, but their prey do not hear the owls (usually until it’s too late)! What can I add to those insights? Like an owl on the wing, I’ll just be quiet!